Foreign brands are finding the routes to the ASEAN market increasingly diverse and competitive. For baby and maternity product suppliers from Hong Kong, selecting the right distribution channel can be an important part of ensuring they achieve a competitive advantage. They need to consider the characteristics of each channel, including its location, market reach, management costs and degree of control. The right retail channel can help suppliers expand their geographical coverage quickly. While the Internet allows businesses to be based anywhere in the world, the presence of a bricks-and-mortar retail location enhances the brand awareness and customer experience. This is particularly true in ASEAN as in-store shopping is a favourite pastime for consumers in the region. The PETIT BATEAU store in Jakarta. Many global baby and maternity brands have opened their own stores in major ASEAN cities, including Mothercare, Chicco, Combi, Bebehaus, Petit Bateau and mamas&papas. 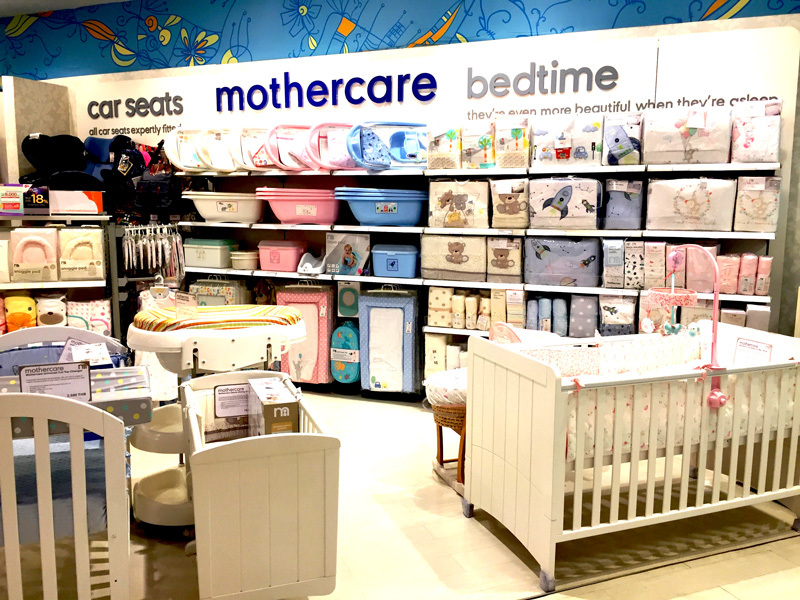 Mothercare has the strongest presence across the region and has become a household name in Thailand, Malaysia, and Indonesia. Licensing to retailers in ASEAN allows brand owners to penetrate the local markets without having to make a heavy investment. 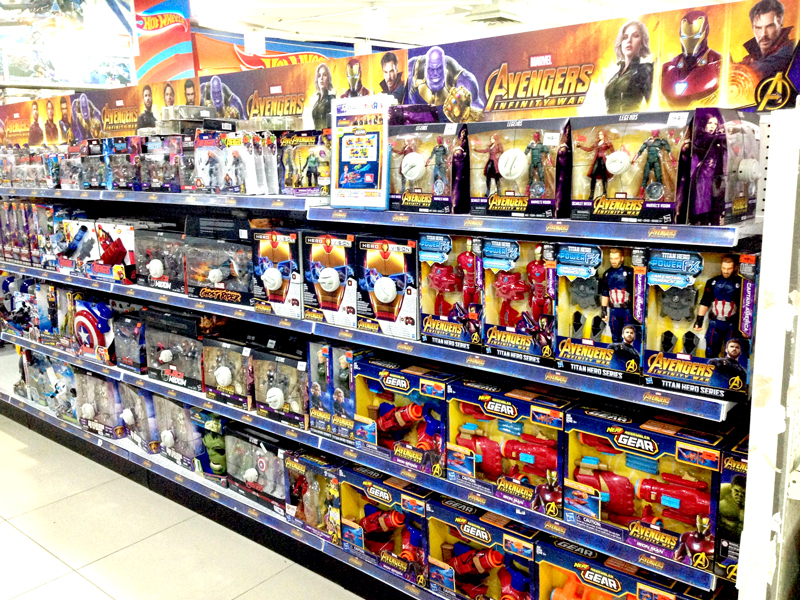 Walt Disney, the world’s number one licensor, has tapped into the baby product market in ASEAN through its rich portfolio of licensed merchandise such as Marvel's Avengers, Frozen, and Mickey and Minnie. Other famous licensed characters like Barbie, Sesame Street, and Snoopy can also be found in many ASEAN nations. Expanding through licensing involves several key issues, such as dealing with the differences in cultural, legal and financial practices in each country, and getting to grips with the needs and capabilities of prospective licensees. Dealing with a retail chain gives suppliers access to a wider customer base without investing in opening their own stores. If suppliers can build a good relationship with key retailers and department stores, they may benefit when those companies expand their networks across the ASEAN region. Notable retailers with good regional exposure include Parkson Department Store, Central Department Store, Tesco, Giant, and specialist chain Mothercare. 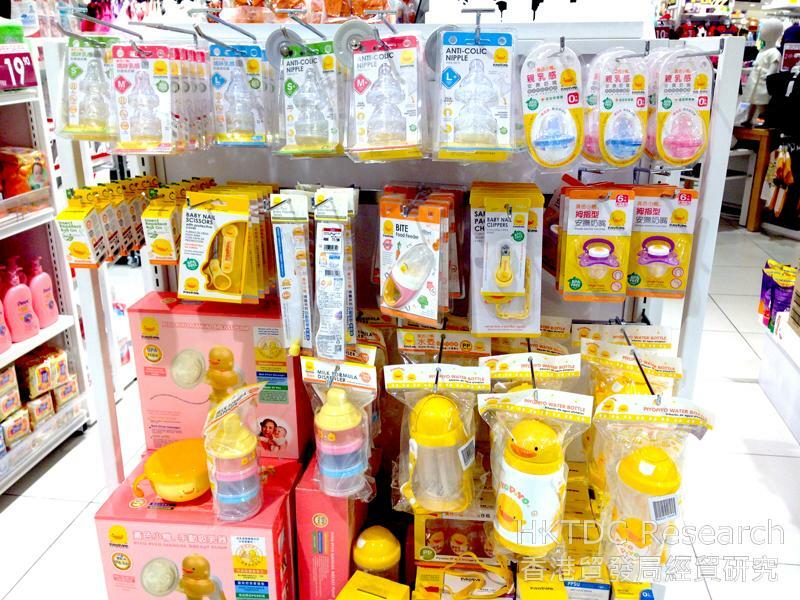 Wide range of baby product brands at a department Store in Kuala Lumpur (1). 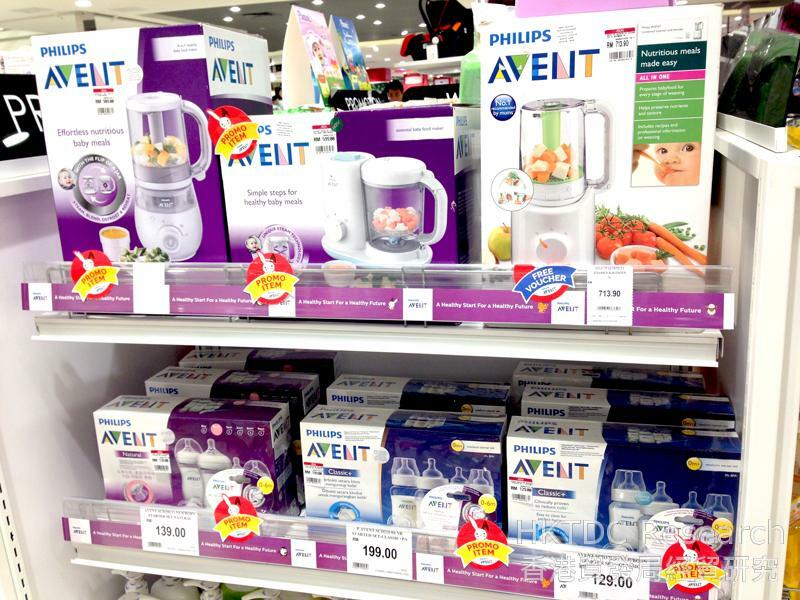 Wide range of baby product brands at a department Store in Kuala Lumpur (2). One major shortcoming of selling direct to retailers is that nowadays most retailers request a consignment agreement rather than an outright sale. Under such an agreement, the consignee does not have the same pressure to sell the merchandise in question as it would if it owned the product. Whatever remains unsold can be returned to the consignor, usually at the consignor's expense. 1. Logistics – Retailers expect suppliers to ship the right number of items, as requested, and on time. Some department stores have their own distribution centres (DCs), and overseas suppliers are required to warehouse a minimum amount for each stock keeping unit (SKU) in the designated DC. Some department stores, such as the ones run by The Mall Group in Thailand, do not have a centralized DC and require suppliers to deliver their goods directly to individual department stores. However, omnichannel fulfilment strategies such as buy online/pickup in-store or order online/deliver to home require multi-logistics formats and real-time inventory visibility. 2. Merchandising – Retail merchandising is the key to a supplier’s success. Products that are not properly displayed, and not adequately stocked, will result in lost sales for the brand. Ideally, suppliers should monitor store-level demand in real time in order to ensure the top-selling items remain in stock. Within the store, suppliers need to be sure that their products are right in the line of customer traffic. Products stand less of a chance of being bought if they are tucked away in the furthermost corner of the store where customers hardly ever go. Suppliers cannot rely on the retailers, especially if they are big chains, to do their merchandising for them. For some mother and baby products, such as high-quality feeding equipment or baby clothing and cloth diapers made from organic fabrics, it is essential that they are presented in store with a brief guide on the product benefits. 3. Marketing – Most retailers require the brand owner or supplier to provide a comprehensive marketing plan. This requirement means the brand must have a basic understanding of the local market, consumer behaviours, and marketing and promotional channels. 4. Manpower – To encourage retailers to sell their product, suppliers must provide product training for the retail sales team, together with sales incentives. 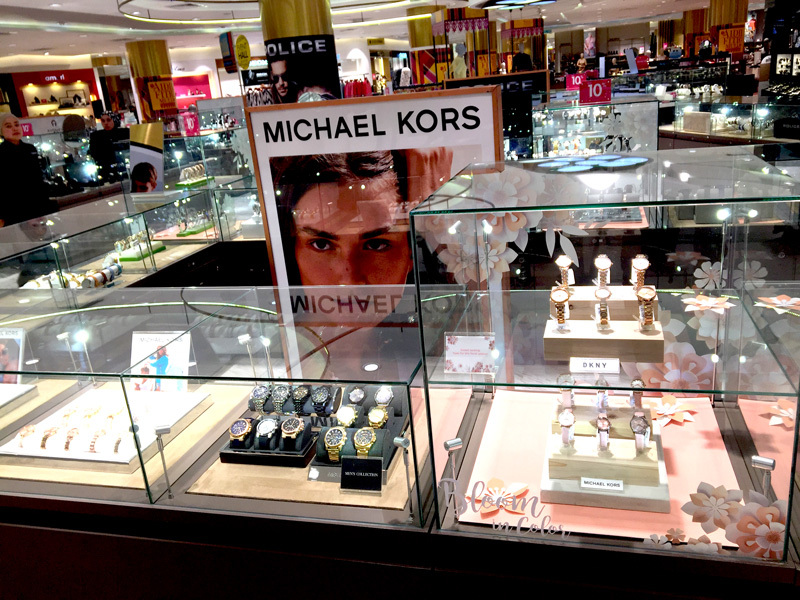 Department stores usually give suppliers an option to place sales personnel in the store to answer customer inquiries. Although hiring sales staff obviously involves extra operational costs, it is likely to prove profitable as the presence of a dedicated sales person in the store is likely to lead to a big increase in sales. 5. Minimum Orders – It is often hard to request minimum orders from prominent retailers in ASEAN. Suppliers might have to consider allowing “no minimum order” on the first purchase as an incentive to retailers to sign up. 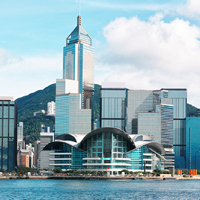 Hong Kong suppliers wanting to start exporting to a new market often prefer selling through local agents or distributors in order to minimise their initial investment. Agents take orders in the supplier's name while distributors act in their own name and may stock products purchased from the manufacturer for resale. Many exporters would rather deal with a regional distributor (or a local distributor in each country) rather than local retailers, as each order may involve a lot of follow-up work and hassle. Typically, distributors find local retailers and/or e-tailers for the suppliers’ products. This means that suppliers can start to achieve sales quickly through the distributor’s network, without having to make a heavy investment in building retail channels. One example of this is Bubble Bright, a Thai distributor of baby products. 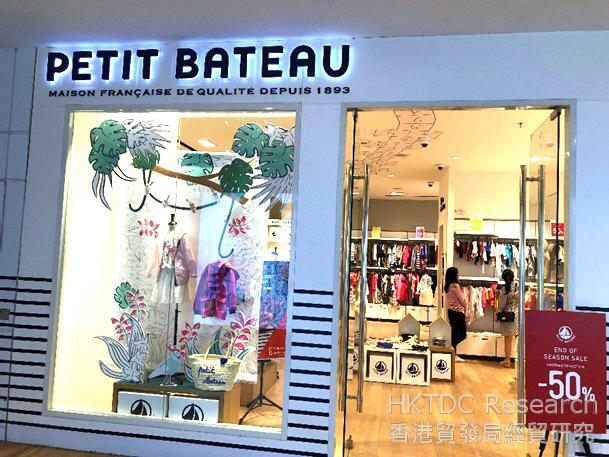 The company distributes products through major department stores and baby specialist stores, as well as online platforms, such as Lazada and Central Online Shopping. Distributors can help handle transportation and customs clearance. They may have systems in place to keep track of inventory in the DC and individual retail stores and help replenish stocks in good time. They also understand the local cultures and consumer behaviour. An experienced local distributor in ASEAN can be very valuable, as each ASEAN country has its own unique mix of ethnicity, language, and religion. Suppliers can also turn over the responsibility of administering customer services to their local distributor and eliminate the need to invest in a customer services department. Under a distribution agreement like this, suppliers would only have to deal with the distributor, while the distributor would deal directly with local retail customers. Despite these advantages of working with a local distributor, the practice also has its downsides. Firstly, in return for taking on the supplier’s trade-related risks and burdens, distributors will expect heavy discounts and generous credit terms (up to 60 days). Secondly, suppliers may lose some control of the way their products are marketed and priced. Thirdly, distributors often demand a long period of exclusivity, so suppliers need to be sure that the distributor they choose has experience of selling their type of products and has an existing network of customers on hand. Retailers may also find it convenient to deal with distributors. If they deal directly with manufacturers, they may have to visit factories, review product catalogues, set up new business credit forms, send out business information, set up efficient ordering and accounting systems, and so on. Most distributors can also purchase products in bulk. Some distributors sell multiple brands, they act as aggregators and offer bulk discounts for retailers that buy multiple brands. The distribution business is a margins game, so distributors will gravitate toward products that are easy to sell with the least effort. Manufactures or suppliers trying to sell complex products should make promotional and sales materials ready to support distributors’ sales efforts. Sufficient training and communication are crucial for any distributors to perform and grow their business. 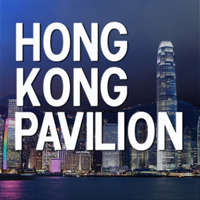 One of the best places to connect with potential partners is at trade shows - either in Hong Kong, or even better, in the markets exporters are targeting for entry. 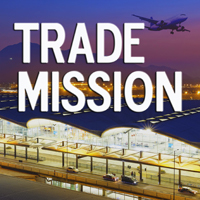 Attending international trade shows is often a good starting place for relatively new exporters. At the same time, they can also get a snapshot of the market and competition (For more details, please see the upcoming article “Accessing the ASEAN Consumer Market: Baby and Maternity Products (Marketing)”. B2B online marketplaces are another way to connect with potential overseas partners. Alibaba’s B2B e-commerce has more than 40 industry categories and connects buyers and sellers in more than 190 countries worldwide. Another platform to consider for B2B is Amazon Business. The Seattle-based company's platform serves businesses of all sizes and across all industries and connects buyers, manufacturers and sellers. That said, the best way to find good partners is always word-of-mouth. Suppliers who know the right person in the local market can steer others to the right place faster. Trade associations are usually the starting point to get to know industry players. With the advent of emerging technology, brands no longer need to rely solely on their distributors or retailers to sell their products. Today, many online platforms offer brands and manufacturers the opportunity to expand overseas by selling direct to consumers. While most well-known baby and maternity retailers operate their own bricks-and-mortar stores, they also sell through their own websites. 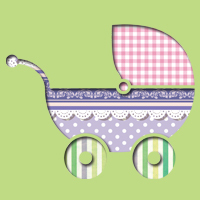 Mothercare, Happikiddo, Bebehaus, The Baby Loft, Lilsoft Baby & Elegant Kids and Naturally! BeBe are just a few examples of this. Established conglomerates like Central Group in Thailand and PT. MAP Boga Adiperkasa (MAP Group) in Indonesia are also embracing e-tailing as an opportunity to serve their customers better and reach out to a wider audience. There are many benefits of selling direct to consumers. For a start, the time to market is significantly decreased. In a market in which product cycles are becoming significantly shorter, being able to launch the newest products quickly provides a definite competitive advantage. Brands can also retain complete control over their brand image without it being subject to distortion or dilution by third parties, while consumers can interact directly with a brand and get prompt, first-hand information about a product. Furthermore, manufacturers and brands have control over their product’s price. They can also communicate directly with consumers about price points. Most importantly, selling direct allows brands to gain access to consumer data. Making use of customer data effectively can result in better products, greater relationships, easier conversion, more sales, and ensure long-term brand success. Hong Kong brands and suppliers of baby and maternity products may see the rise of e-commerce as a catalyst for selling directly to customers. However, they should carefully consider the risks associated with selling direct and create plans for mitigating those risks. When a brand is currently selling its products through distributors and a network of retailers, starting to sell direct may be perceived as a declaration of war on its existing distribution channels. In such circumstances, the brand can offer exclusive products to its distributor or retail channels. These can be exclusive designs, packaging or bundling offers that are not available via direct-to-consumer channels. Brands owners need to have a deep understanding of local customer expectations and behaviour. Besides, they need to have the shipping and customer service infrastructure in place to support direct sales. Most importantly, they need to have a comprehensive digital marketing and social media strategy that allows interaction and engagement with their potential customers and diverts traffic to their websites. They also should be prepared to ship quickly and handle returns flawlessly. One of the most important decisions when suppliers intend to migrate to selling direct is the selection of the right platform. They need to choose one that is powerful enough to operate efficiently and flexible enough to deal with sophisticated customisation demands from consumers. If suppliers decide to use their own websites as the online representation of the brand, consumers will interact with the brand directly. Sales are made directly on the site. On the plus side, the brand keeps all the revenue and all the customer data collected with each visit to the website and each transaction. On the downside, the brand has to localise its websites, assume all risk for credit card fraud, and must achieve and retain high rankings on search engine results to maintain website visibility. Not all brands have the digital expertise to create and manage an online platform effectively by themselves. By listing on key regional players like Lazada, Shopee or other marketplaces, brands can build a better presence in non-domestic territories and boost their search engine results. Multi-brand marketplaces are digitally savvy and know how to provide an excellent online shopping experience. They provide good back-end support and cross-border logistic programmes for their sellers (good examples of this are Lazada and Shopee’s logistic programmes). Another benefit of using third-party platforms like these is that regional marketplaces have a reach across ASEAN. Having said that, foreign brands and sellers remain responsible for ensuring that localised product information is uploaded to the marketplaces. On the downside, marketplaces may charge a commission on sales, brands have to compete with many other online merchants on the same platform, and they cannot capture customers’ data which could open up future direct marketing opportunities. Many brands use third-party online marketplaces in ASEAN even when they already have their own localised websites. It is because the marketplaces bring the brand and its products to the attention of consumers who are ready to buy. Today’s e-commerce industry is multichannel. If a brand is planning to join the legions selling directly to consumers via online channels, building its own websites and listing on online marketplaces are both equally important. These days, successful enterprises in ASEAN tend to adopt an omnichannel business model that uses both offline and online channels to connect with customers, with sales and distribution channels working together to support a seamless shopping experience for its customers. Consumers’ online experiences can bring them to the company’s bricks-and-mortar outlets, while in turn the in-store experience can be extended to web and mobile. Bricks-and-mortar stores sometimes give retailers a competitive edge. They add value through product display and interaction with staff. Also, online shoppers often prefer to buy familiar and trusted brands. In spite of the remarkable range of products and price advantage offered by online pure-plays, they do not enjoy the brand heritage and loyalty that legacy retailers benefit from. Baby product specialty retailers are developing an omnichannel approach. 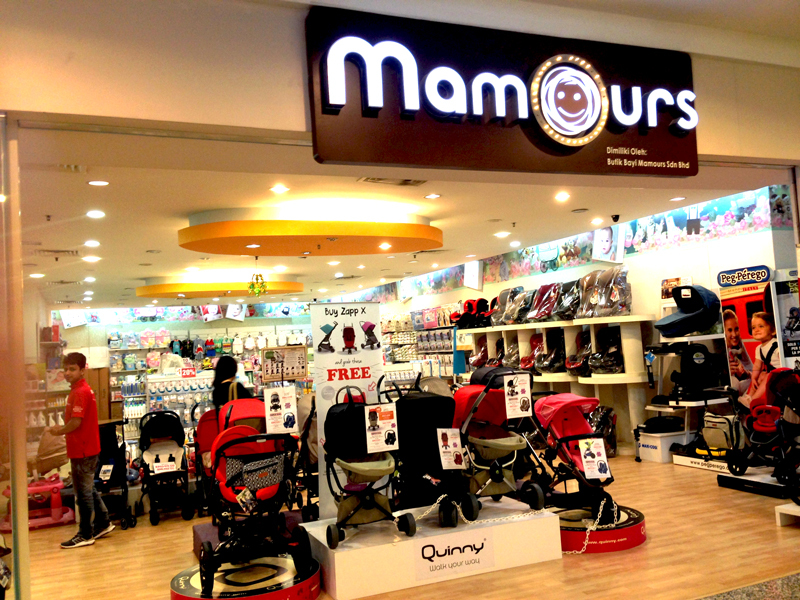 ASEAN consumers still prefer buying baby gear at bricks-and mortar stores. 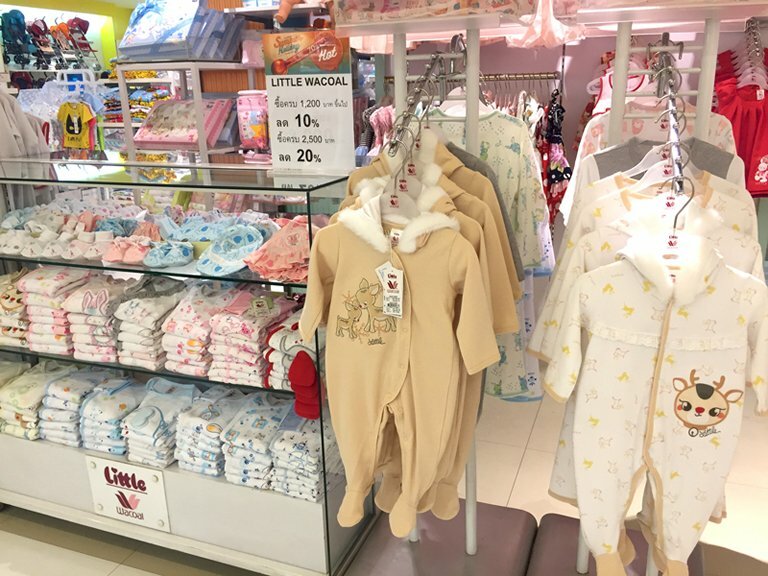 Kanmo Group, an Indonesian retail distribution company that distributes over 70 brands, including Mothercare and Early Learning Centre, has recently rolled out an omnichannel strategy with a retail management software solution to create a seamless customer experience. Traditional retailers like Central Group, meanwhile, are scrambling to move business online and embrace full e-commerce integration. Central Department Stores has introduced an Instant Messaging Shopping Service with personalised assistance aimed at making shopping easier. Customers can connect with Central Department Stores via WhatsApp in Indonesia and LINE in Thailand and get help from a digital personal assistant to find the products they want. If the item is available, the customer can choose to have it delivered to their doorstep or pick it up at the “Click & Collect” service counter. Consumers today decide when and where to purchase, how to pay, and when/where/how to take delivery. The shopper's smartphone has literally become their point of sale. It is expected that more ASEAN online marketplaces and legacy retailers will adopt an omnichannel strategy, which will create both opportunities and challenges for Hong Kong brands and suppliers. Big data analytics, social media and seamlessly transitioning across different channels are the keys to success in an omnichannel environment.